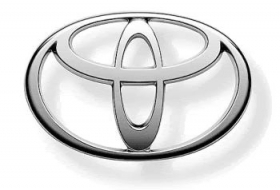 BLUE SPRINGS -- Toyota Motor Corp. may strengthen ties with its suppliers and dealers to offset the stronger yen, but it is unlikely to buy companies outright, Toyota President Akio Toyoda said. "We are not good at acquiring companies. We are bad at doing that," Toyoda said when asked whether the strong yen could trigger a change in the company's acquisition strategy. "Perhaps we would like to deepen alliances" with suppliers and dealers, Toyoda said on Thursday during the opening of a Toyota plant in the U.S. state of Mississippi, where Toyota will build Corolla cars. The rise in the yen, which hit a record high against the U.S. dollar in late October, has diminished the profits of companies like Toyota that export products built in Japan. But the yen's surge has also opened opportunities for Japanese companies to seek growth and expand by buying overseas assets at a lower cost. Still, Toyota is unlikely to take this route, Toyota Motor Sales President Jim Lentz said. Instead, Toyota is more likely to enter partnerships similar to one it entered earlier this year with Ford Motor Co. to build hybrid trucks and SUVs, and develop phone, navigation and entertainment systems, Lentz said. That deal will allow Toyota to tackle an area of vehicle technology where it has lagged. At a separate event in New York, Nissan Motor Co Ltd. Chief Executive Carlos Ghosn said the strong yen may force some companies to shift production outside of Japan. "We need just one thing," Ghosn told the Japan Society in New York. "Fix the exchange rate. Fix it." Toyoda was in Mississippi to mark the long-delayed opening of its fourth assembly plant in the United States which was originally expected to open last year. The plant churns out about 40 cars per day and eventually will increase to an annual capacity of about 150,000 vehicles, Toyota officials said. The Corolla is Toyota's second-best seller after the Camry sedan. Corollas in the U.S. market are currently made in Japan, but about 70 percent of Toyotas sold in the United States, Canada and Mexico are built in North America. In a related matter, Toyota said its North American plants are running overtime again after briefly slowing when Thailand's floods reduced supplies of parts. The impact was less than suspected at first. "Early on we didn't know how bad it could be, but it ended up being a false start," said Jim Lentz, president of Toyota's U.S. sales unit. "In the end, it ended up not having any impact on us whatsoever." Toyota canceled some overtime shifts at North American plants this month and scaled back output in Japan as a result of the flooding in Thailand, which supplies some electronics, rubber and plastic parts. The reduced output came as Toyota cranked up its plants to rebuild inventory thinned earlier this year by Japan's earthquake and tsunami. The main issue for Toyota was audio parts supplied by Thailand, Lentz said. Sales of Toyota, Lexus and Scion models fell 8.8 percent this year through October, because of a five-month production slowdown caused by Japan's disaster, limiting vehicle supplies. Industrywide U.S. sales have risen 10 percent this year. "We are back to running what we had already planned for November in terms of overtime and Saturday shifts," he said. "Whatever impact it had is behind us."